Riviere, Jessica L. “Challenging Generational Conflict in Short Stories by Sophie von La Roche and Therese Huber.” XVIII New Perspectives on the Eighteenth Century. Vol 10.1 Spring 2013, 51-62. “In or Out? 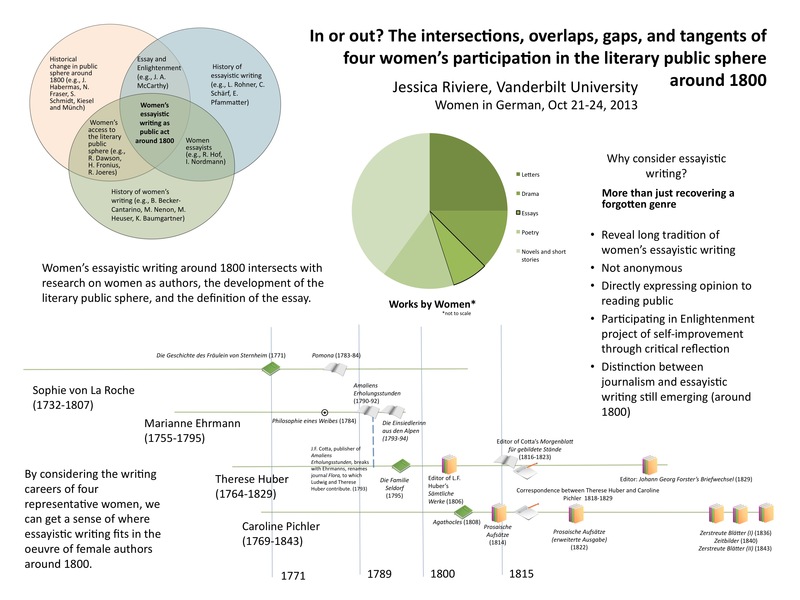 The intersections, overlaps, gaps, and tangents of four women’s participation in the literary public sphere around 1800.” Women in German, October 21-24, 2013.